I noticed a few months ago that my son who was eleven at the time was getting a pimple popping (no pun intended) up on his face here and there. I’m afraid this is something he gets from me. I started getting acne outbreaks at about the same age and was plagued by zits my entire teen life. Heck, I still am, and I’m fifty. Seriously, shouldn’t I be over acne breakouts? I know right! It is frustrating as a mom (not only to have to deal with a pimple myself at my age) that my son has to deal with it. My wish would be that he had a clear complexion and never have to worry about acne. Pimples are really tough on a tween or teen. I can still remember the embarrassment and aggravation of dealing with zits. In fact, I remember a skin/acne breakout being the end of the world. I have learned over the years that it is important to have a good skin care routine. 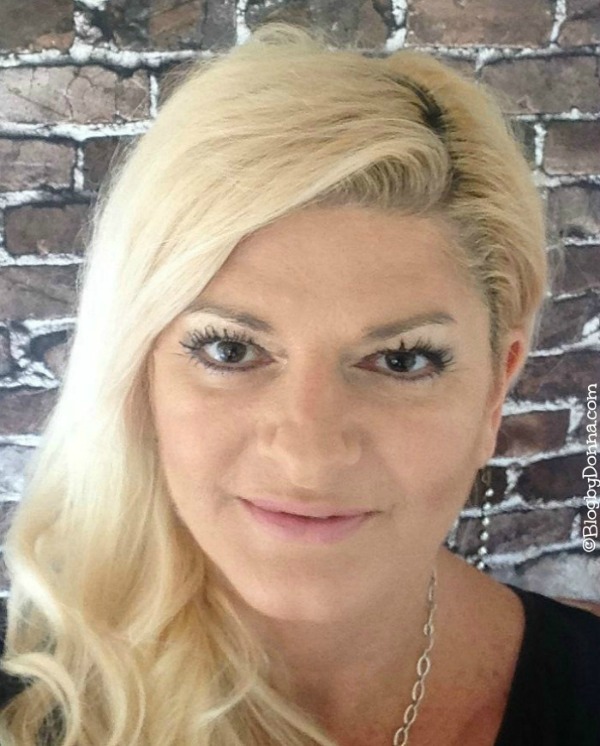 A couple of weeks ago, my son and I started using two Clearasil products…. Ultra Rapid Action Daily Gel Wash – fast acting to give you clearer skin in as little as 12 hours. And that’s important when you’re a tween performing in a play at your local children’s theatre for three weekends with hundreds of people looking at you on stage. Hydra-Blast Oil-Free Face Wash – a daily face wash that is gentle for someone like me with more sensitive skin. It’s also a plus for older women (and men) like me who wants oil-free products. I like that it has a moisturizing complex that leaves my skin soft. After using both Clearasil products my son’s skin was clear and ready for his opening night in “The Best Christmas Pageant Ever” last night. He is very happy about that. Four Days After Using Clearasil. I’m also very happy that the two pimples I had two weeks ago are gone and my face was still clear for his opening night as well. My son asked me not to use his photos (before or after) so I’m respecting his wishes. We both used the Clearasil Ultra Rapid Action Daily Gel since we had active breakouts and have been using the Hydra-Blast Oil-Free Face Wash every morning. And my son is realizing the importance of clean, clear skin. My son and I are very happy with the results we are seeing from using Clearasil regularly. Here’s to beautiful, healthy skin! Does you teen (or tween) have a skin care routine? Or what is your skin care routine? A good skin care routine is so important for keeping clear skin. My daughters both have a skin care routine that they both actually enjoy! They don’t use Clearasil but it looks like something they could surely add for clearer skin. I’m trying to get my youngest son to start using something over the counter so he doesn’t get to the point where he needs prescription or something stronger like my oldest son. I might have to try this. I’m 29 years old and still plagued with teenage skin. I’ve been having issues with acne since I was a pre-teen. I have adult children now, but I am 51 and sometimes I will get a zit, but I do have to say you are beautiful in your picture. Thank you for sharing the information and GOD bless. My daughter has been using this and she’s really happy with the results. I like that it’s affordable too, and not pricey like many of the solutions out there. Ooh, I remember the days of using Clearisil. It worked so good for me as a young adult. I should try it again. I’ll have to give both the Ultra Rapid Action Daily Gel Wash and Hydra-Blast Oil-Free Face Wash a try. I get zits here and there but she gets a lot of blackheads and has been trying to be diligent in keeping her face clean. My youngest son has pimple problems. I might have to get him to try this. I’m glad you have something that works for you. We have to use things that are prescribed by the doctor. The right product is important, and the constant will to keep the routine skin care is more important. That’s great that it did the trick and cleared up his skin. Teen acne is the worst! 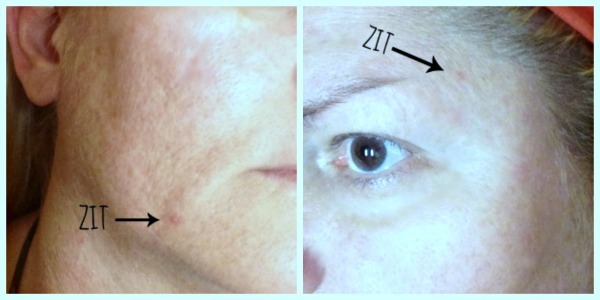 It just isn’t fair that I’m still dealing with break-outs and now worrying about wrinkles! Glad to know Clearasil can fix one problem! This sounds like something I need to share with my little sister… thanks for sharing! I would definitely try this i have acne prone skin. Thanks for sharing. 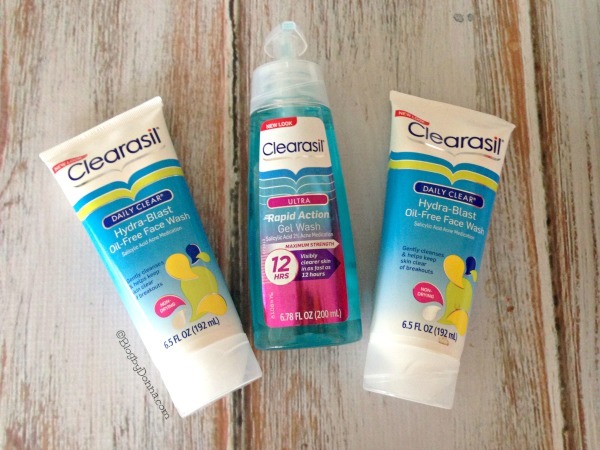 I’ve tried the most expensive products, and I still find myself heading back to Clearasil! I have been blessed with really nice skin. I don’t do much to it, and it just behaves. I feel for those that deal with acne. I had a friend that had tried everything but little brought her any true success. Nice to see new products for this. Clearasil had been around for a long time. My daughters still use it. Great review. I never have used Clearasil. I’ve always been a Biore and Neutrogena girl! At almost 32 I still get breakouts, especially before my lady time of the month. I need to see if Clearasil could help my acne without drying my skin out even further. I was breaking out so I stocked up on Clearasil. I can’t wait to get my skin back to normal. I had acne bad as a teenager and I don’t want my grandkids to have to go through that. So I read reviews and but small containers of it to see if it works for them. If it does I buy them more. Thank you for the review of this one ! !